Whether Mike Asfall of Los Angeles who was instrumental in US Soccer Hall of Famer Cobi Jones’s life on and off of the field or Lorne Donaldson in Denver who developed current Women’s national team standout Mallory Pugh, the United States National team has never hired a black head coach to lead the stars and stripes on the senior level. 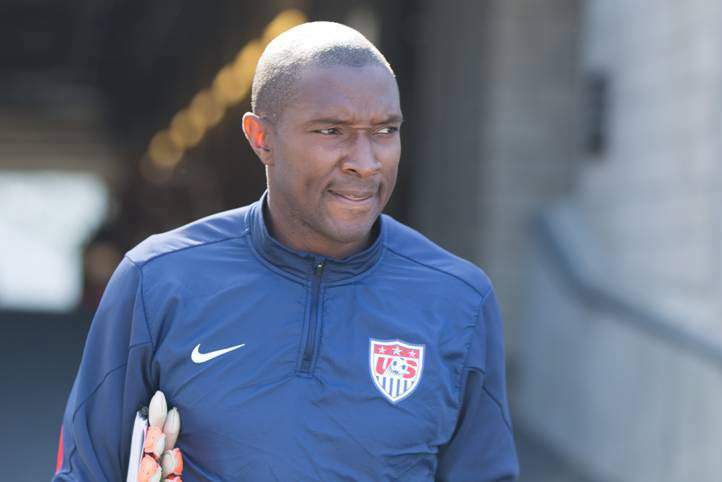 Lincoln Phillips, Mike Curry, and Russell Payne, ironically all Goalkeeper coaches on the US National team level, are believed to have been the only black coaches to hold positions at the senior level, therefore, there has never been a black coach at any other assistant coaching position. As the US Men’s National team gears up to begin their search for the next national team coach there are currently no black head coaches in the national team system at either the youth or senior levels. So that begs the question, why isn’t US Soccer reaching out to black coaches throughout the country who have won state, region, or national championships and have developed some of the best US national team players in the history of our sport to become national team head coaches? Of the twenty-three MLS teams there are only nine assistant black coaches. Keep in mind that some MLS teams may carry anywhere between two to four assistants per team. In the league, there is only one black head coach, Patrick Veira of New York City Football Club (NYFC). Veira is internationally recognized for his outstanding career at Arsenal and as a member of the French national team, so when he saw an opportunity to become a head coach in the league, he jumped at the opportunity becoming only the third black head coach in the league’s history after Denis Hamlett and Cobi Jones. 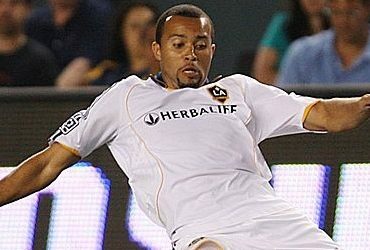 Hamlett coached the Chicago Fire to two MLS Cups in 2008 and 2009, and Jones had a brief stint as interim coach of the LA Galaxy in 2008. In 2015, The Institute for Diversity and Ethics in Sport (TIDES) located on the campus of the University of Central Florida rated the MLS as one of the worse leagues for diversity across all US professional sports. The league has received some of the lowest marks due to its lack of diversity at major positions like Head Coach and General Manager. The number of General Managers have increased marginally with Hamlett currently the Sporting Director of the New York Red Bulls, and Earnie Stewart of the Philadelphia Union who became the first African-American General Manager since the league’s inception in 1996. Three years have passed and very little change has happened in MLS at the decision making levels. In fact, Curtis is no longer in the MLS after developing a 300 page plan to revamp the New York Red Bull making them relevant again in the league. The club became a playoff mainstay during his three years as Sporting Director, and finished first in two of his three years while winning the Supporters’ shield for the best team in the league in 2015. US Soccer also financially supports the National Women’s Soccer League (NWSL), a league that ranks statistically worse than MLS when addressing diversity hiring. Of the nine teams in the league, all nine head coaching positions are held by white coaches, and there are only two black assistant coaches with the newly inducted Hall of Famer Briana Scurry being a first year assistant at the Washington Spirit. I asked three youth soccer coaches with a combine 95 years of experience coaching at the youth level, Myron Garnes, Technical Director of the St. Mary’s Soccer Club in Maryland, Kab Hakim, Director of Coaching at Futsal America, and Lorne Donaldson, Executive President and Director of Coaching at Real Colorado, why aren’t more black soccer coaches being recognized for head coaching positions at the national team level? 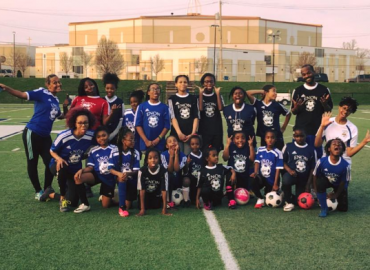 Garnes believes that the reason why US Soccer has not acknowledged black coaches at the highest levels is due to the lack of acknowledgement at the youth soccer level. “Many coaches who won state cup championships in the 1980s and 1990s are not being recognized. Many black coaches have taken players from the grassroots to the academy levels but they are not getting recognized. US Soccer has failed to acknowledge most of the pioneers of the sport who have coached for 30-40 years.” There have been a few black coaches who have been acknowledged by US Soccer but as Garnes states not all have been recognized. 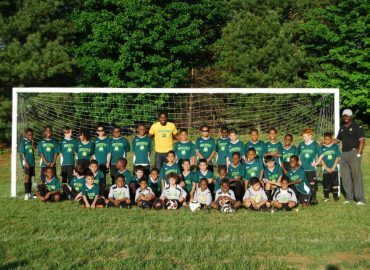 Clyde Watson, McLean Soccer Club’s (Virginia) Technical Director is one of those coaches. In 2015, Watson was inducted into the DC-Virginia Hall of Fame after winning 13 US Youth State Championships, one US Youth National Championship, and in 2007 was named the NSCAA Coach of the Year. Watson has received some accolades but he has never been a head coach at the professional level. When the Washington Freedom first began play in the now defunct Women’s United Soccer Association (WUSA), Watson remained a long time assistant to current Washington Spirit head coach Jim Gabbara. Despite being an extraordinary communicator, recruiter, and checking all of the boxes to become a head coach, Watson never got his chance. To get recognized we must promote the advancement of our own in the game of soccer, which is our mission. One day we will not ask the question as to why US Soccer does not provide black coaches the opportunities to coach at the national team levels, but instead we will see a black man or woman wearing the red, white, and blue on the sidelines leading a team to the World Cup.